In the past, having a website was an advantage, but now it’s a necessity. And with that, you need that website to stand above the rest and differentiate yourself from your competition. That’s why Yondo has created the Turnkey Package. This package is an add-on to your Yondo Plan and gives you a professionally designed website integrated with Yondo pages that you can customize anytime you like. We take care of the initial design, and you can change your website at your own leisure from there. There are so many benefits to capture with this package, as it really is the easiest way to take your online business from an idea to an endeavor. 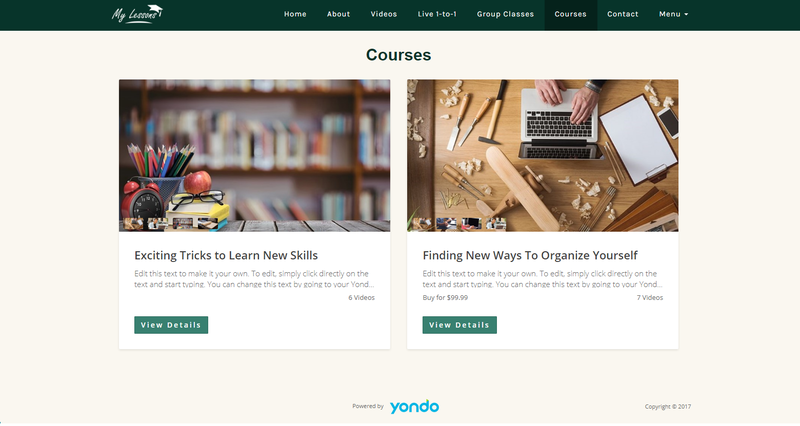 All of our Yondo Turnkey Sites allow you to make use of the features Yondo has to offer, such as the Online Booking Calendar, Live 1-To-1 Consultations, Webinars and Group Classes, Online Videos, Payment Gateway, and Integrations with over 300 partner solutions. The package also includes 12 months of website hosting, your own domain and domain setup, Yondo listing setup assistance, and an hour of full system training for you and your team. Yondo is a perfect solution for every industry looking to break into the online market. Whether you are a doctor trying to make your clients get well online, a fitness instructor trying to get people in shape with online videos, a teacher trying to help a new generation thrive through online tutoring and teaching, or a business consultant helping spread the valuable insight you have through live webinars; Yondo can help you get there. Let’s take a look at how some of the fastest growing online industries utilize this amazing product. Online fitness and wellness companies are popping up everywhere nowadays, as it is easier than ever to create content and connect with their customers. Innovations in Videos On Demand and Virtual Personal Training are making online fitness more convenient and cost-effective for not only customers but also trainers and instructors too. Yondo’s All-In-One Fitness Studio Turnkey Sites will give fitness professionals the keys to their own online fitness platform that they can start selling with instantly. 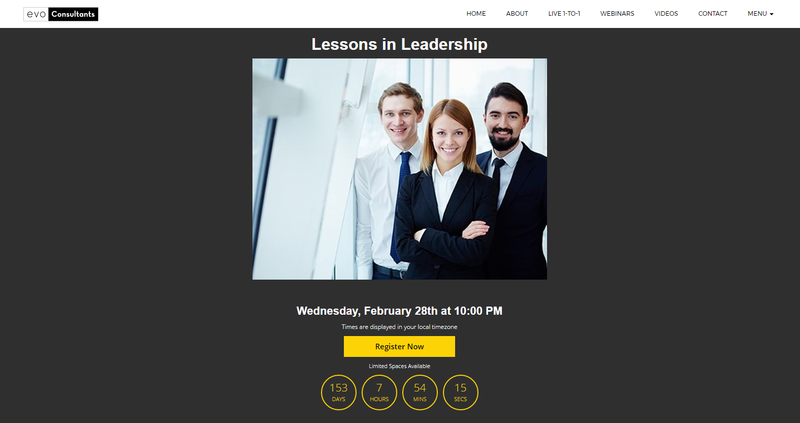 They can host and book Live 1-to-1 training and wellness sessions, sell online fitness videos, and host Live online group classes, all from your own website professionally designed by Yondo. 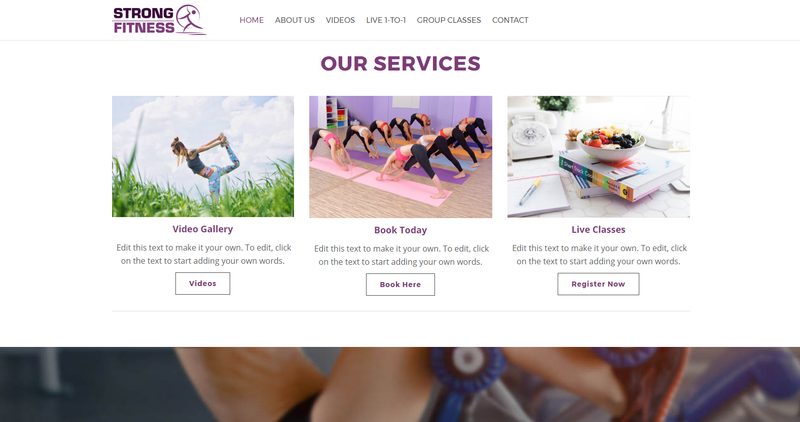 Instructors can also add all of their ancillary pages to their All-In-One Fitness site such as about pages, contact pages, and even blog pages. Yondo also integrates with MindBody allowing you to consolidate your calendars together so you’ll never miss an appointment again. Everyone knows that the internet can be a great resource for insight into an illness, but reading an article on WebMD can only take you so far. Sometimes speaking with a real doctor is really what people need. With Yondo’s All-In-One Medical Clinic Turnkey Sites, Doctors can set up your entire online practice quickly and easily. 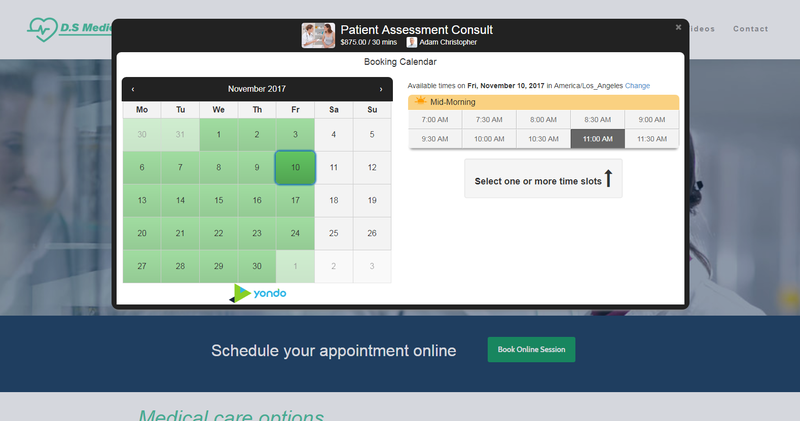 Yondo is completely HIPAA Compliant and allows doctors to schedule and host Live 1-to-1 consultations with their patients, right from their own offices or homes. e-Learning is another thriving sector of online business, as it has become a multi-billion dollar industry within the last several years. And now with Yondo, entering this industry can be incredibly easy. Teachers can jump right into their own online classroom with the ability to hold Live 1-to-1 tutoring and teaching sessions. They are able to share their wealth of knowledge instantly, from anywhere in the world. Yondo also allows users to create course material using the Video and Video Playlist/Course functionality. It is expected that by 2019, over a million minutes of video will be consumed every second and many are using that time to learn invaluable skills and broaden their horizons. The consulting industry is expected to reach around $488 billion globally in 2017, and even with its size, there are still a number of hurdles that must be overcome to be successful in the consulting industry. Yondo can help address many of these hurdles by helping consultants reduce the costs of travel and increase the efficiency of meeting and helping their clients. Yondo’s All-In-One Consulting Platform allows business consultants to offer their services to individuals via Live 1-to-1 sessions and to groups via Webinars, where they can present their expertise to up to 1000 people. 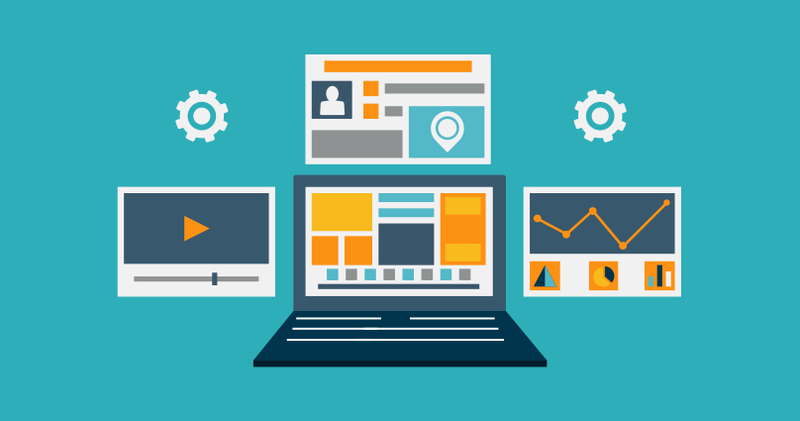 The only thing a user really needs with their Turnkey site is content they are ready to go. Yondo Integrates with some of the most widely used CRMs so that you can easily keep track of your Yondo clients. These CRMs include SalesForce, Hubspot, Insightly, Contactually, and PipeDrive, among others. We also integrate with MailChimp and Constant Contact to make the building of your email marketing lists effortless. For more information on our CRM integrations, check out this article. The online video industry is growing rapidly and it is not showing any signs of stopping. One-third of all online activity is spent watching online videos and it’s been said that a minute of video is worth roughly 1.8 million words. With that in mind, Yondo offers the simplest way to sell online videos for a number of different price points. Video producers can sell their own videos right from their custom built website via one-off purchases, time-based rentals, as well as for a recurring monthly subscription. All they need to do is upload their videos and choose how they want to sell them. So whether you are interested in starting a brand new online business, or simply just want to redo your current website, the Turnkey Package truly is the easiest way set up a website with all of the bells and whistles that Yondo has to offer. Yondo will work with you to create a fantastic new website that you can be proud of. The only thing you need to do is have your content ready to sell. To learn more about the Turnkey Package and see our example websites, check out our Turnkey Package page.